Dr. Cynthia Chao always appreciates feedback from her valued patients. To date, we’re thrilled to have collected 14 reviews with an average rating of 4.86 out of 5 stars. Please read what others are saying about Dr. Cynthia Chao below, and as always, we would love to collect your feedback. Everyone was kind and pleasant it would be a blessing to return. Dr. Chao is wonderful. She is nice, caring, and is concerned with my every need. She did a great job with my surgery last year. Staff is very friendly, they follow up on labs and results in a timely fashion. Dr. Chao is friendly, professional and very experienced. She has been my obgyn for several years, I moved away for a while but I came back to her office when I found out she was in my network. I'm currently pregnant for the first time with triplets and Dr. Chao has answered all my questions, kept me informed and I truly feel I'm getting the best care possible from her and her staff. She's a great doctor. Dr. Chao is the third physician I've had during my pregnancy and I'm so thankful to have found her. I only wish that I would have found her from the beginning to avoid the extra stress. I love that she is direct with me and listens to my concerns. Dr. Chao's office staff is so wonderful! Each one of them is incredibly hard working and caring. It is so nice to feel so taken care of by everyone. 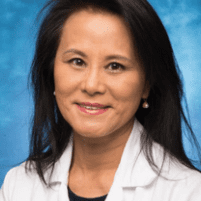 Dr. Cynthia Chao Is an excellent Obgyn! always makes you feel comfortable, and open to answer any questions or concerns you may have. I Would recommend her to everyone that is looking for a Dr who Is willing to be honest with you. Staff is also friendly . If it wasn't for Dr. Chaos' knowledge, assertiveness and expertise, I would not have my two blessings. She is an amazing doctor that has the patients/babies best interests at heart. My experience was great and excellent. She is a good Dr, she takes care of her patients. I love her. Dr. Chao is the best. She took care of me through my pregnancy. And now that I’m going through my postpartum, she is always making sure that I’m doing good. And her staff is always friendly. Thank you Dr. Chao and all the staff for 9 months of care. Dr Chao is a very caring person. She is very nice to me as her patient. She always tell me in detail what I need to do. She is also very knowledgeable and professional. Also, I want to give a big thumb up for the staffs in Dr. Chao's office. They are very friendly and very organized. It is always a pleasant experience to visit Dr. Chao. I look forward to my appointments bc there are so many friendly faces in the office. I know that my baby and I are well taken care of and that each of Dr. Chao’s patients matter to her. I appreciate the time she spends in and out of the office and I firmly believe that she makes the best choices for all the mommies and babies she gets to work with.